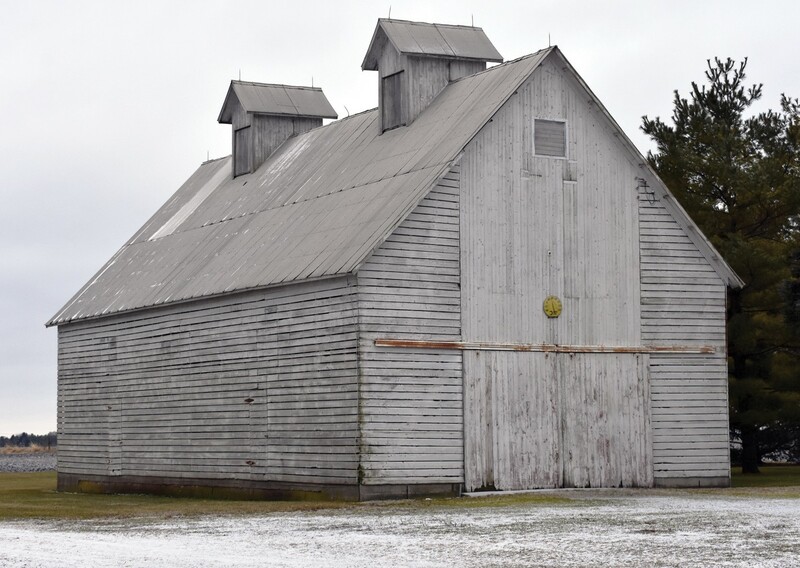 Some of the structures we see in our rural landscape give glimpses into farm practices of the past. Old barns, either repurposed for new uses or falling into disrepair, are one example. Corn cribs are another. Before the invention of combines, corn was harvested by picking the entire ear. After harvest, the corn could be shelled with a machine or left on the ear and fed to livestock. However, before it was shelled or fed to livestock, the corn had to be stored in a way that would prevent mold and spoilage. Corn cribs were used for this purpose. A corn crib is a structure designed to store ear corn. Corn cribs are ventilated to allow air flow, and have sloping roofs to keep rain off the stored grain. Today, combines remove the kernels while corn is being harvested and grain dryers dry the grain for safe storage. 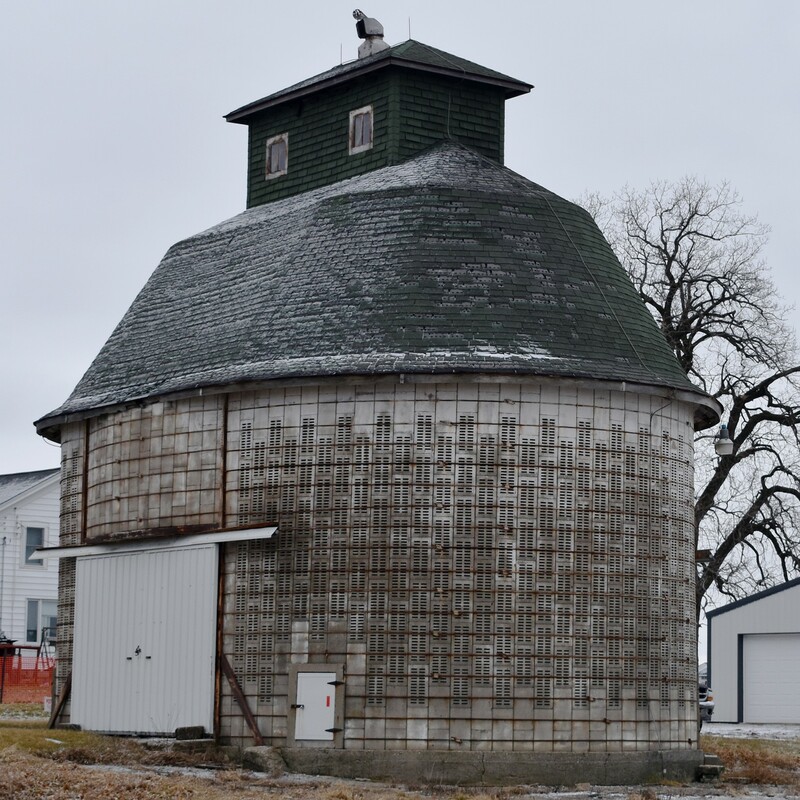 Instead of corn cribs, corn is now stored in steel grain bins. This corn crib is built of wood. A center alleyway allowed wagons to enter and access the corn from inside. An elevator was used to move corn upwards and fill the crib from the top. This style was the most common and can be seen on farms today. Like all corn cribs, the walls of this concrete block crib have many openings to allow for airflow. This kept the stored ears from spoiling. Raised floors helped keep rodents away from the grain. 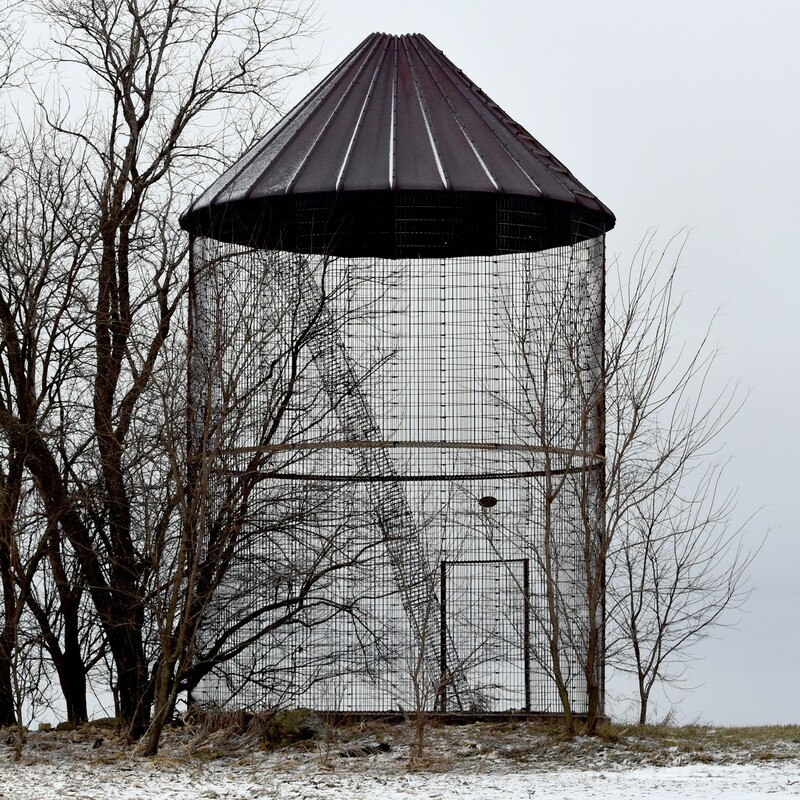 This round crib is constructed with heavy galvanized steel wire and a steel roof. It was used to store ear corn as feed for livestock.